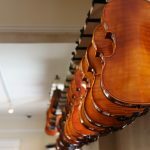 NASHVILLE, Tenn. — Settled in the city’s famous Music Row district, locally owned Williams Fine Violins is a shop that’s bursting at the seams. 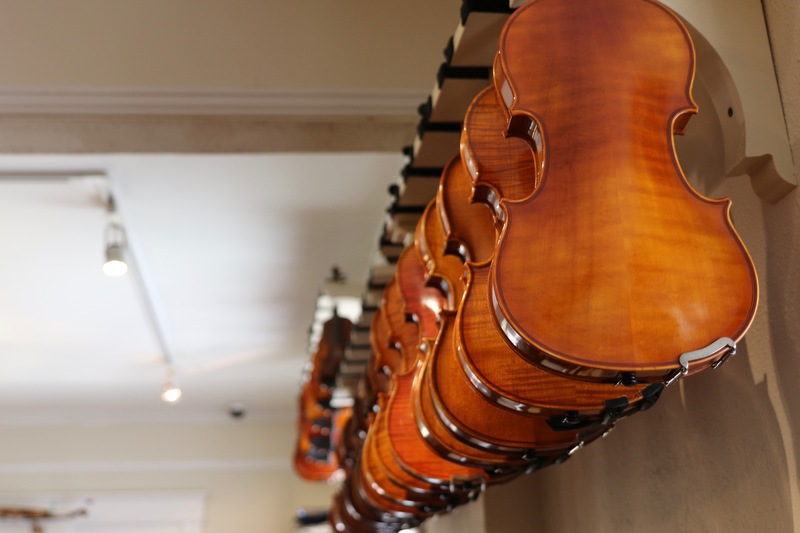 The violin store, technically in a three-story house, boasts cluttered floors and offices. Packaged bowstrings and repair tools hang on some walls, while a variety of instruments — violins, cellos, basses and violas — hangs on others. When a customer enters the building, the front door brushes against the strings of a violin above, the music adding to the quirky environment. As cozy as the shop is, owner Dustin Williams is looking to add new services and expand his customer base, and he needs more space to accommodate both sets of plans, he said. In January, Williams hung a sign stating that the business would be moving to a “better, larger location” on Donelson Pike this summer. Following a setback from the city government, Williams’ opening plans were pushed to December. He was hoping in May to get approval from the bank and then start overlaying the building. 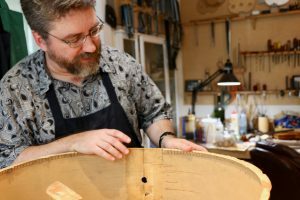 Williams Fine Violins, which has been in business for about 14 years, is one of a handful of violin shops in Nashville. 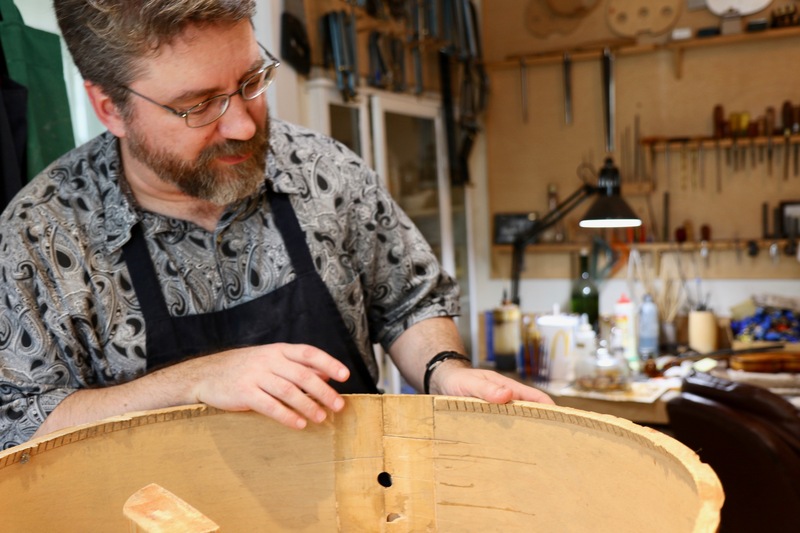 Williams said that of the luthiers working in Tennessee, he is the only graduate of a violin-making school. The Texas native grew up surrounded by art and studied musical instruments in college and taught orchestra to children for six years before deciding to go to school in Salt Lake City for violin-making. After apprenticeships in Canada and Europe, Williams chose Nashville as his new home. Around 2008, Williams moved the store to its current location, its second home on Music Row. Since then, he said, the business has grown ever more successful. Workers used to help four to five people each week, and now they help more than that each day, he said. The shop offers a range of services, from instrument rentals and purchases to repairs and music lessons. Still, keeping up with the bills is a constant concern. Because the main problem is the lack of “room to grow,” Williams said he’s hopeful a bigger location will turn things around and give workers more breathing room. Williams has a clear vision for the new building on Donelson Pike: It will be twice the size of the current shop and have six rooms — versus the two it has now — available for private music lessons and recitals. He’ll even be able to provide services for electric violins, a rising trend. The store will begin selling microphones and amplifiers, which acoustic violins can be plugged into, and eventually will sell solid-body violins in various shapes and colors. Importantly, Williams said, he would like to diversify his clientele. Many of his customers are already invested in the music industry. He hopes the move to the new neighborhood — which is near the airport and draws more foot traffic —will attract seniors and families, especially beginning musicians. Rishika Dugyala, a CQS intern at Thomson Reuters in New York, is a senior at Northwestern University.